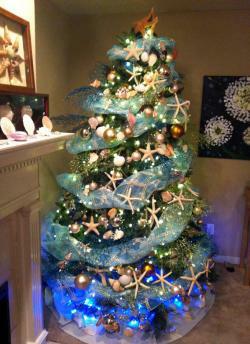 Simon Doonan tree contest: Announcing the winner. 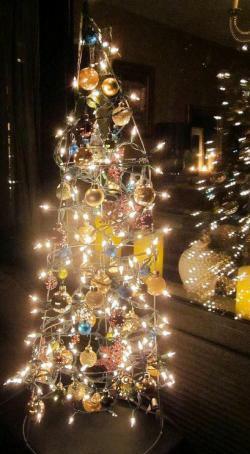 Announcing the winner of Simon Doonan’s holiday tree competition. Like so many little toddlers of yore, my sister and I would sit for hours on plastic potties and stare at our Christmas tree in a state of undiluted rapture. Try as I might to recapture that long ago feeling of exquisite yuletide intoxication, I have never succeeded … until last week. While reviewing the cavalcade of submissions for this year’s tree competition, I was genuinely moved by the gorgeous outpouring of creativity. This year’s crop of entries was more diverse than ever before. 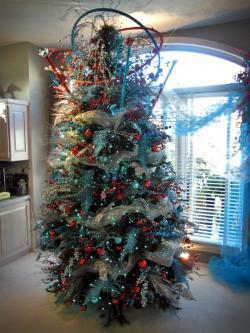 The holiday trees ranged from trad to mad to baroque. 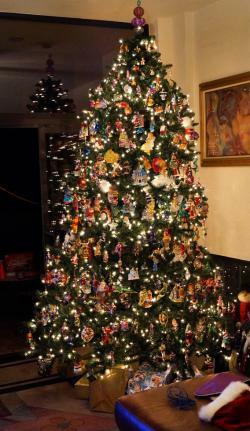 The award for most daring use of oversized ornaments goes to Nora Greer who adorned her tree with a collection of supersized nutcrackers. 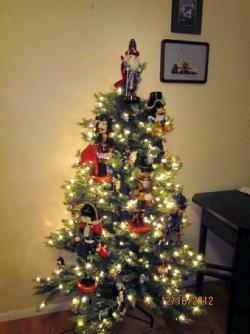 “I like the nutcrackers much better on the tree than on a shelf,” explains Nora, and who could disagree? The award for most vigorously executed theme goes to Shannon Glitterman. “I love the beach,” admits Shannon, who clearly had a severe Jacques Cousteau moment, adding, “Some of the shells are just sitting on the branches while others were made into ornaments using jute.” Shannon expanded her oceanic theme by filling transparent balls with shells and sand. 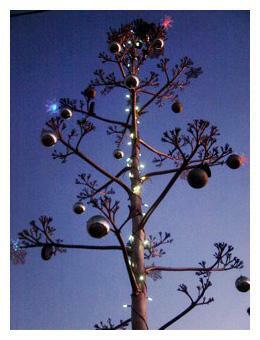 The award for most insanely unexpected use of an agave flower stalk goes to Tucson-based Richard DiRusso who creatively recycled a phenomenal local specimen into a Tannenbaum and spray painted it gold. BRAVO! The award for most creative integration of hula hoops goes to Ken Krajewski. It should be noted that this was also the only integration of hula hoops. Good work Ken! The award for best repurposing of a tomato cage goes to Anne Davis in New York City. Anne refused to let the dimensions of her Hell’s Kitchen studio apartment inhibit her festive impulses: “I bought a tomato cage , wrapped it in lights, hung balls all over it and put it on a table on my balcony right in front of the window,” explains Anne. This indoor/outdoor ingenuity is commendable. Caution: If you choose to go the tomato cage route then please keep in mind that metal trees festooned with lights can become an electrical hazard. 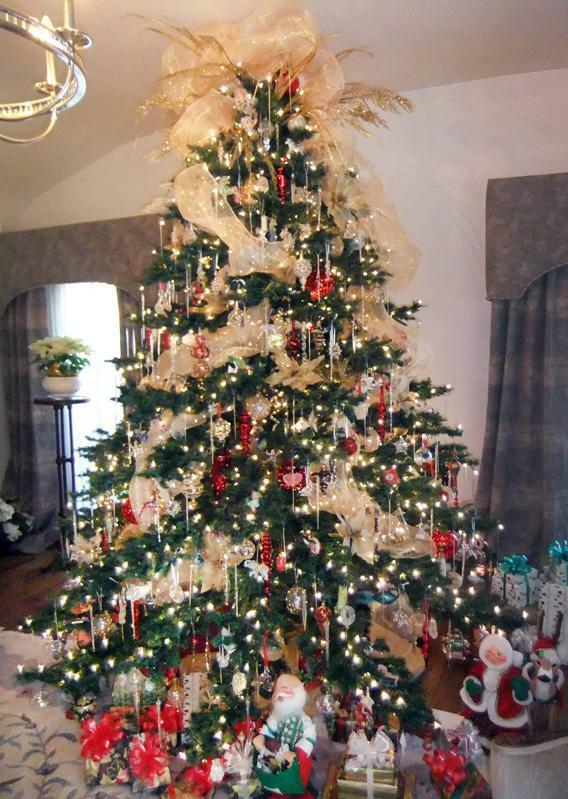 The award for most ornaments per square foot on a holiday tree in Palm Springs goes to Thomas Upah who somehow integrated 600 glass ornaments and 850 clear lights onto one single tree. Yes, I know there’s not much else to do in Palms Springs …but even so, let’s give major props to Thomas! And now … THE WINNER!!! Mike’s finale is beautiful and impressive. The use of icicles won me over, and when I read Kathie’s touching email I genuinely felt like I was back on my plastic potty in the 1950s. Congratulations Kathie and Mike! Your prize—a set of the new Jonathan Adler circus ornaments and a signed copy of his new book, 100 Ways to Happy Chic Your Life—will be winging it’s way to you ’ere long.